Steeped in British memorabilia our bistro also serves some legendary food. It’s a chance to meet up with friends over coffee, lunch or dinner. The extensive and reasonably priced menu offers affordability and choice, with some excellent main meal dishes including our famous Parmagianas and slow cooked Pork Belly. Our bistro is perfect for that special family or office gathering and with ample outside seating it makes a terrific spot in which to watch the world go by. 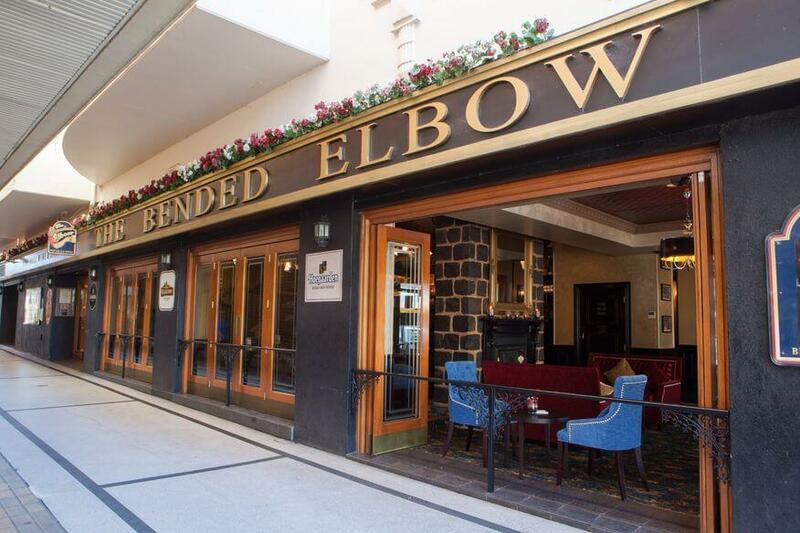 Be sure to visit Albury’s only Rooftop Bar on top of The Bended Elbow & enjoy a refreshing icy cold ale or cider. The same great bistro menu is also available in The Rooftop Bar.